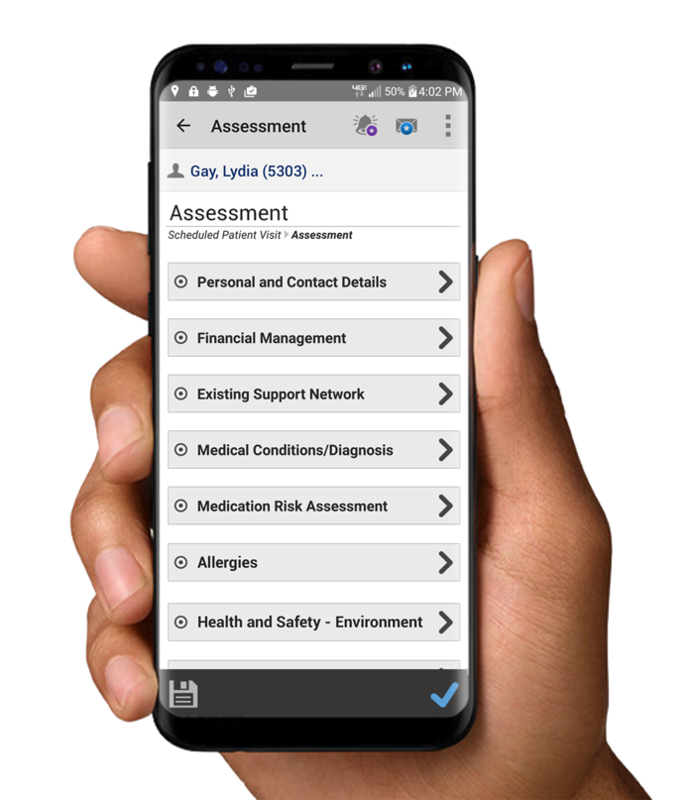 The CellTrak Care Delivery Management solution includes three role-based mobile apps to meet the specific needs of multiple types of staff and caregivers. By providing everyone in the field with the functionality and information they need, agencies can operate more efficiently, deliver care more effectively, and enjoy happier, more satisfied employees. Our native mobile apps work on leading iOS and Android devices, work in and out of cellular coverage, and support "Bring Your Own Device" policies. Effective management of your distributed home or community workforce begins with getting the basics right: real-time visibility and communication with field staff. TimeManager connects with the CellTrak Operations Team Portal, which office staff use to oversee what is happening in the field, communicate securely with field staff in real time, manage client visit documentation and verification, and measure recent performance versus KPIs. Visit our Software page to learn more about the Operations Team Portal. This connected, cohesive solution is the key to agile, efficient in-home and in-community care delivery. Office and field staff can work together smoothly, improve visit and care compliance, streamline operations, reduce costs, and use data to enhance care delivery. In addition to all TimeManager features and benefits, VisitManager enables efficient, effective delivery of personal services. 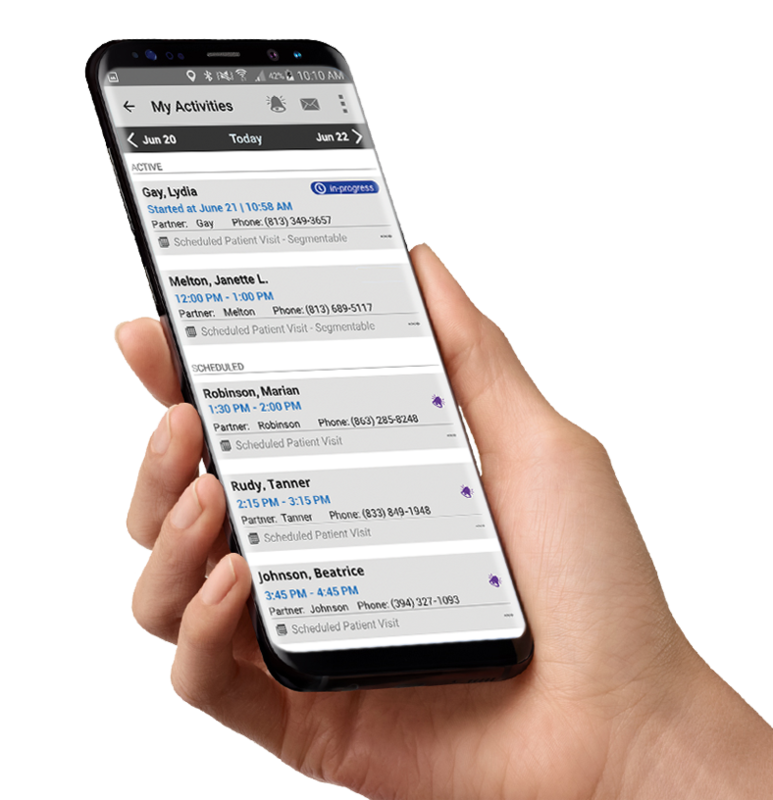 Like TimeManager, VisitManager connects with the CellTrak Operations Team Portal, which office staff use to oversee what is happening in the field, communicate securely with field staff in real time, manage client visit documentation and verification, and measure recent performance versus KPIs. Visit our Software page to learn more about the Operations Team Portal. This connected, cohesive solution is the key to agile, efficient in-home and in-community care delivery. Aides and PSWs gain the targeted tools they need to improve documentation and compliance, and office and field staff are able to work together smoothly, improve visit and care compliance, streamline operations, reduce costs, and use data to enhance care delivery. 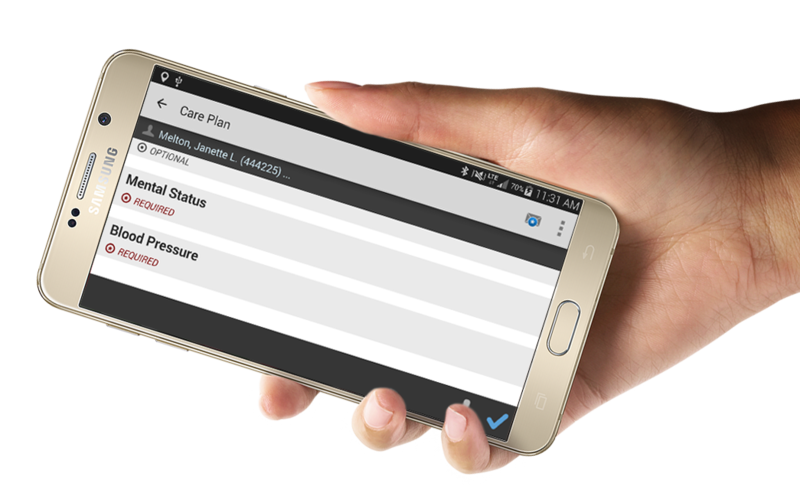 CareManager includes all the functionality and benefits of TimeManager and VisitManager while also supporting condition management and outcome improvement. Like TimeManager and VisitManager, CareManager connects with the CellTrak Operations Team Portal, which office staff use to oversee what is happening in the field, communicate securely with field staff in real time, manage client visit documentation and verification, and measure recent performance versus KPIs. Visit our Software page to learn more about the Operations Team Portal. CareManager also connects with the CellTrak Care Team Portal, which provides the entire extended care team – including care coordinators, planners, families, and guardians, if permitted – with secure, real-time information about the clinical and personal care that has been delivered, as well as updated vitals and trends. Visit our Software page to learn more about the Care Team Portal. This connected, cohesive solution is the key to agile, efficient in-home and in-community care delivery. Office and field staff can work together smoothly, improve visit and care compliance, streamline operations, reduce costs, and use data to enhance care delivery – while care teams are able to improve client outcomes by improving care coordination.